Value-packed and ready to go… Good to Go Hi Lo delivers just what it says on the jar. Rob takes you on an invigorating and fun cardiovascular workout that is filled with innovative choreography to keep you on your toes and your heart pumping. Join Rob as he takes you through a warm up, three seamless combinations and a cooldown in this fantastically taught ready to go workout. DVD Bonus Features - An in-depth interview with Rob Glick. 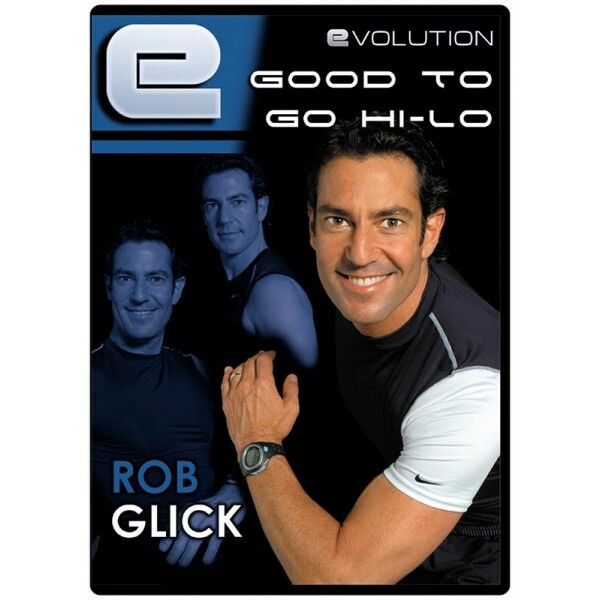 The “How to make an Evolution video” behind the scenes featuring Rob rehearsing and filming this DVD as well as complete Bonus Blocks of choreography from other aerobic dance and Hi Lo releases.